1, Saloule - Sarah has an uncanny ability to make me give up all leave of my senses and purchase just about anything she features - despite the fact we don't have the skin tone or skin type. Yes she's that good. A beautifully laid out site coupled with Sarah's impeccable make-up taste make this a must read. 2, Late Night Nonsense - I adore that Adrienne (yes she's a fellow Adrienne) features a combination of high street and high end products meaning every budget is catered for. She posts concise reviews that are easy to read yet never lacking in detail not to mention Adrienne's photo skills are second to none. 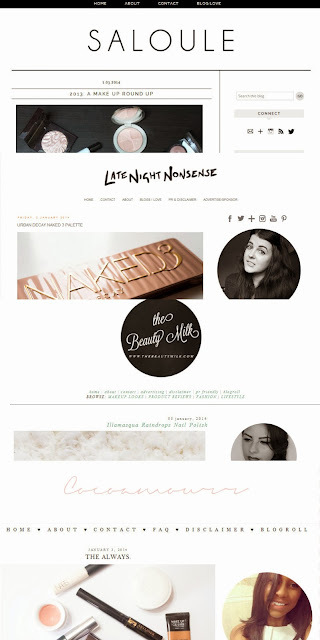 3, The Beauty Milk - Coco's blog has it all - large, clear and beautifully formed images, a great writing style and the perfect blend of various products be they skin care, make-up or American drugstore products we have yet to get our hands on. Coco also posts tutorials which are easy to follow but with great results. 4, Cocoa Amourr - Another beautifully laid out blog with plenty of that NYC flavour we all wish we possessed. Elena tends to focus more on high end products but is never anything but honest about what each product can or more importantly can't do. If you like beauty posts broken up with the odd fashion/lifestyle musing add this blog to your reading list now. 5, Beauty Blah Blah Blah - A new find for me but a great one. I really like that Tamara has the ability to write short but concise reviews of beauty products - something I have yet to grasp. Again a well laid out blog with great photography which is something I always appreciate. 6, Eating Lipstick - A drugstore must read has to be Hollie's blog - if there is a new product to hit the stands this girl has it and will review in detail complete with 100% honesty. The large clear photos really have help when it comes to deciding what is worth purchasing. Hollie also posts Youtube videos so she has every base covered - a must read! 7, Nouveau Cheap - This is the bible of all things drugstore. I tend to scour N.C to get the scoop on newly released or to be released drugstore products state side so I can add them to my lust list and patiently wait for them to hit the UK shores. N.C also reviews said products and features swatches so you always know where you stand. 8, Sleep and Water - Such a beautiful blog that again features truly honest reviews of beauty products of all types and price brackets. The photography is to a very high standard and S&W also gives an insight into the Australian beauty market featuring products and brands that I have yet to experience. 9, Autumnleaves-x - Rebecca does mainly post about beauty products but she has the ability to easily slot in lifestyle type posts which really allow you to get to know the writer. 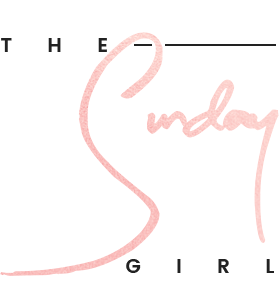 I really like the warm, chatty feel of this blog - a feel good factor and beauty products in one place what more do you need? 10, Rotten Otter - Another blog that combines beauty and life but Rotten Otter is so much more than that! A combination of life, beauty, craft and interior posts that seamlessly slot into one blog which is written with impeccable style and truly wonderful (sometimes magical) images. One of my absolute favourite blogs ever, ever. 11, John, It's Only Makeup! 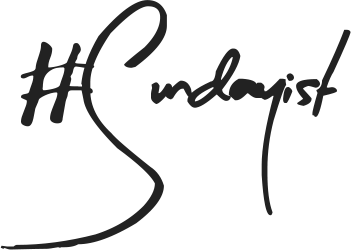 - Lorraine was my first ever taste of an Irish beauty blog, she is beyond witty yet truly knowledgeable and never shies away from the truth. I dare you not to chuckle big, belly laughs with Lorraine as she tells it how it is. A breath of fresh air. 12, What I Call Beautiful - Again this is relatively new addition to my reading list but quickly becoming a firm favourite. Danni features both beauty and fashion posts but truly has her own style (which is faultless in my opinion). Her photography style is beautiful, the blog is well laid out and the content is great. Check it out! 13, Baby Face - When it comes to photography this blog is my go to - I could spend hours just perusing the beautiful images that Amy produces. Again this is a great blog to follow if you like a variety of subjects such as life, beauty and fashion all neatly rolled into one. 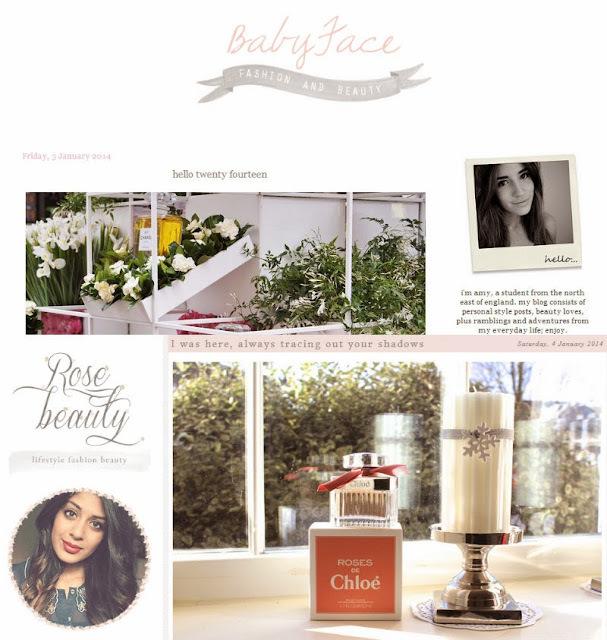 14, Rose Beauty - The term whimsical was invented for this blog. Sundariu has an impeccable style and a flair for interior design (it also doesn't hurt that she is a fellow cat lady) and one of the nicest bloggers out there! Rather than leaving a typical comment I would really like you to leave another blog's link (please) so hopefully I too can find new reading material. Go on spread the blogging love. This is great! I'm going through them all as we speak! Oh wow a lot of new reads for me! I've not come across so many of these so going to have a good ol read this afternoon, thank you! I'm just starting out but ameasureofblush.blogspot.co.uk will include many beauty/skincare reviews, the first of which will appear this evening! lovely selection, I already read quite a few of those. One of my favourite blogs is http://drivelaboutfrivol.blogspot.co.uk/ , a couple of more recent finds are http://www.theprivatelifeofagirl.com/ and http://tinted-red.blogspot.co.uk/ , I could go on but I'll stop there! My God! Words can NOT express how thankful I am for what you've said for me. 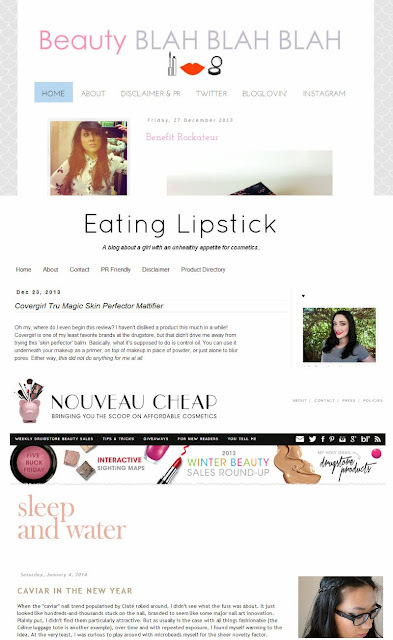 I've never seen my blogs name written on anyones blog before (like a beauty reads). This means so much to me. Thank you for your support! These posts motivated me to become better and improve my blog! Thank you so much. A lovely selection of blogs, Autumn Leaves is one of my favourites! Really great suggestions! I'll have to check them all out! Never hard of half of these! Can't wait to read them! It's lovely to see fresh blogger! Thank you for sharing! I wish I could take photographs like these guys, absolutely beautiful! Such a great selection, although my reading list is now much longer! Love this style of post, thank you for the recs! I nominate Liza from www.glambeautys.com (who has commented up there somewhere - she's SO lovely and her reviews and videos are really helpful. I love the Beauty Milk and Eating Lipstick! Seriously thank you so much for including me, I've already had an influx of followers, wow! I'm such a huge fan of your blog, even if I don't comment as much as I'd like (silly bloglovin app) I always read your posts! www.luxelist.me - I love love love it! Some of these girls are my old favourites!! haha, I'm already Behind on the blogs I usually read! Now I need to add these ones!!! Im going to be veryyy busy! Hi, Adrienne. I'm both honored and extremely excited that you featured me on this list!! About half of these blogs were already on my reading list, but right now I have a bunch of tabs open with the rest. I'm browsing through them and following them now. Thanks for sharing these blogs. Great new reads! There are some blogs here that I love to read! thank you for sharing! 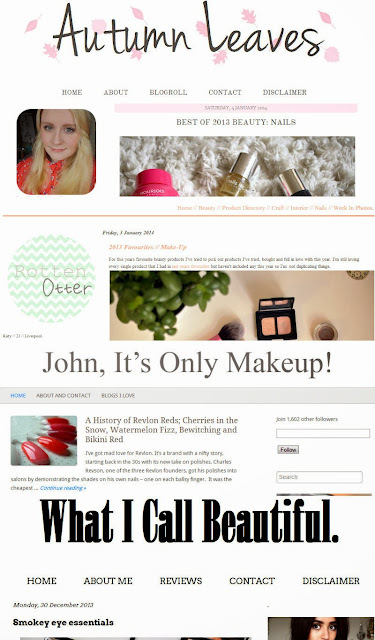 I'm going to shamelessly promote my own blog www.bethyoungmakeup.com. I just recently started blogging regularly (New Years Resolution). I've read your blog for ages so it would be amazing if you could give it a look. I definitely would recommend manface.co.uk as one of my fave beauty blogs. Its always nice to get a males perspective. http://www.thunderl0ve.co.uk & http://www.girlwithmakeup.com - I've been reading them a lot recently! Loved this post! 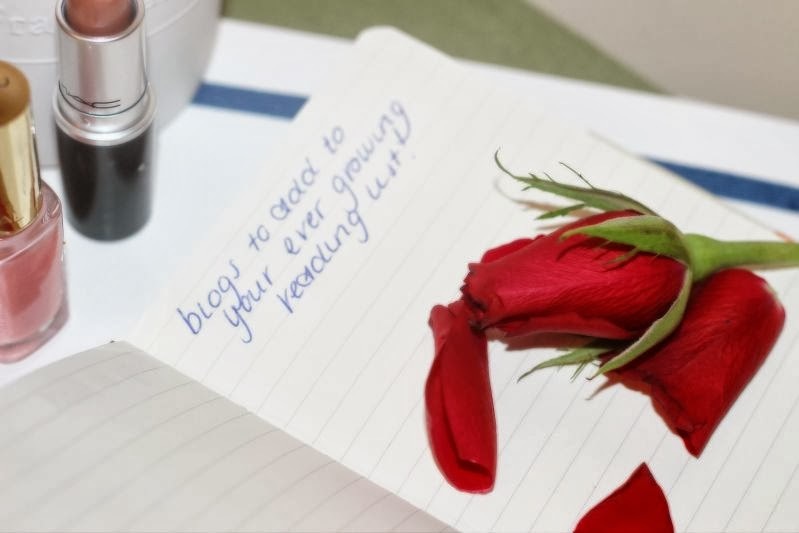 Absolutely love finding new blogs to read, and I've definitely found a few here! !